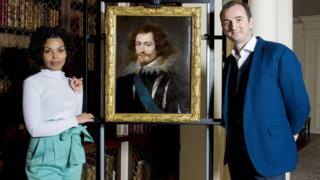 A "lost" portrait by Flemish artist Peter Paul Rubens has been rediscovered after almost 400 years. Councillor David McDonald, chairman of Glasgow Life, said: "Unsurprisingly we are beyond delighted to discover the painting is by Rubens, an artist renowned globally as one of the most important painters in history." Renovation work carried out by English Heritage at Apethorpe Palace in Northamptonshire, one of the king's favourite residences, revealed a secret passage linking the two men's bedchambers. Overpainting of the background and other areas by a later artist, along with hundreds of years of dust and dirt, had obscured Rubens' work. But scientific analysis of the wood it was painted on dated it to the 1620s, and found it had been prepared in a way done by Rubens' studio. 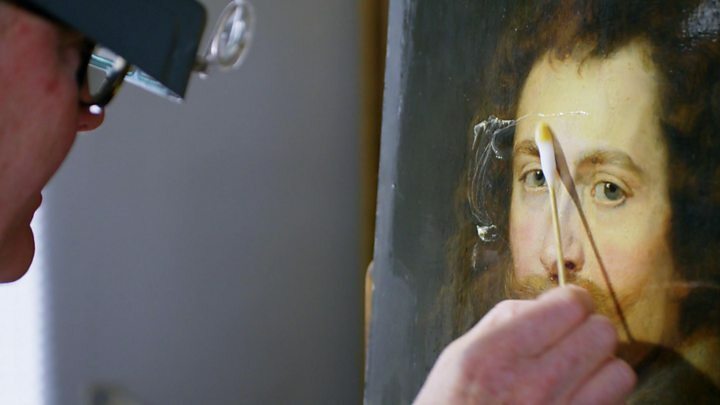 The painting will feature in the first programme of the new series of Britain's Lost Masterpieces at 21:00 BST on BBC Four on 27 September.